Custom Labels are very prevalent in our everyday lives. Our favorite shampoo and cosmetics have custom waterproof labels adorning their bottles and containers. At work, custom labels are adhered to computers and equipment for identification purposes, and mailing labels are used to send letters and packages. In the supermarket, brightly colored food labels are plastered on cans and boxes informing consumers of nutritional values and ingredients. Oil change stickers remind us that it is time for service on our cars and trucks. Everywhere you look - at home, work, school, restaurants and more - custom labels are there to grab our attention, warn us, inform us and make our lives easier. When trying to decide the type of labels you need for your product or application, it may seem daunting at first. What size and shape do I need? What type of material? What type of adhesive? Are the labels being hand applied or machine applied? This is where we step in - our custom label specialists will work with you throughout the process to help you decide which labels will work best for you and take the stress and uncertainty out of the equation. • What size and shape do you need - custom labels come in your standard shapes such as rectangle, circle and squares however special shapes are often needed in order to fit a certain container or to add some flair. • What type of adhesive do you need - most labels use a permanent adhesive in order to be sure the labels do not peel up and cannot be removed easily. In special cases a different type of adhesive may be needed such as a removable or repositionable type adhesive or special adhesives for freezer use or for outdoors. • What type of material is needed - indoor paper stocks , such as white gloss or white litho, are the most common type of material used for custom labels. For labels being used outdoor or in water, vinyl, polyester, acetate and films are often used due to their waterproof properties. For events or special occasions, foil materials give an elegant presentation. • What type of label printing is needed - most labels are printed using a variety of different types of inks - both for indoor and outdoor use. Foil stamping and embossed labels are often chosen for use on certificates, wedding invitations, personalized announcements or high end cosmetics. 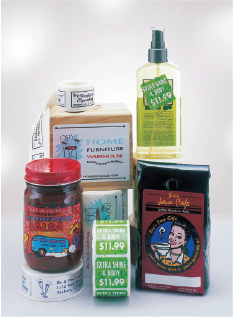 Digital labels provide full color without any plates needed as in flexo or screen printing methods. • What are the labels being applied to - this may be the most important detail in getting the correct custom label for your needs. If labels are being used outdoors then waterproof and UV inks must be used. If you need to write on the labels then you must be sure to use a matte and not a glossy material. Do you need consecutive numbering for use on parking permit stickers. Will the labels be applied by hand or applied by machine - if by machine then certain information is needed to be sure they will work properly. With our custom label specialists we will guide you through these decisions to insure you get the personalized labels you need. If you have searched on Google for custom labels then you know the list of results goes on forever. So why use us for your label printing needs? We have been printing labels for over 15 years - we started small so we understand the cost restraints and pressures of starting a small business. We specialize in assisting new or small businesses in setting up and choosing the correct labels at affordable prices. We do not charge for extras. Free samples are available upon request for testing. We offer free graphic design services and email proofs - whether starting from scratch or using your existing artwork, there is no charge. While other companies may offer one free proof and charge for additional changes, you can make as many changes and alterations as you want with us and we will never charge you! Our custom labels representatives are friendly and knowledgeable. When you call us you get a person answering on the other end, not a machine. When you email us we get back to you the same day, usually within minutes. While we specialize in helping small businesses, we can take care of large orders with no problems as well. From 250 to a million and more we can handle any size label order. And while our production times are already some of the fastest available, if you need a rush on a label order let us know and we can usually accommodate your request. We look out for your interests - we will not sell you a label just because it fits into your budget. If we know it will not work for your application we will let you know - other companies may try to sell you a cheaper label but if it does not work for your needs you end up paying more in the long run to reprint them correctly (view our Buyer Beware page). Most importantly we provide high quality custom labels at affordable prices - what could be better than that? 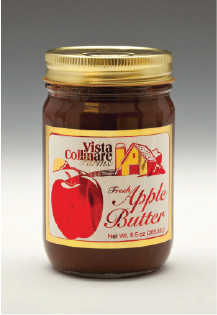 To get started with your custom labels order or for quote requests , free samples or other general information or questions feel free to contact a labels specialist by email at elitedesignweb@cox.net or by phone at 402-933-8212. Manufacturers of custom labels and stickers, signs and banners, magnetic products, business printing and more. Nebraska and Omaha's Business and Custom Label Printer!